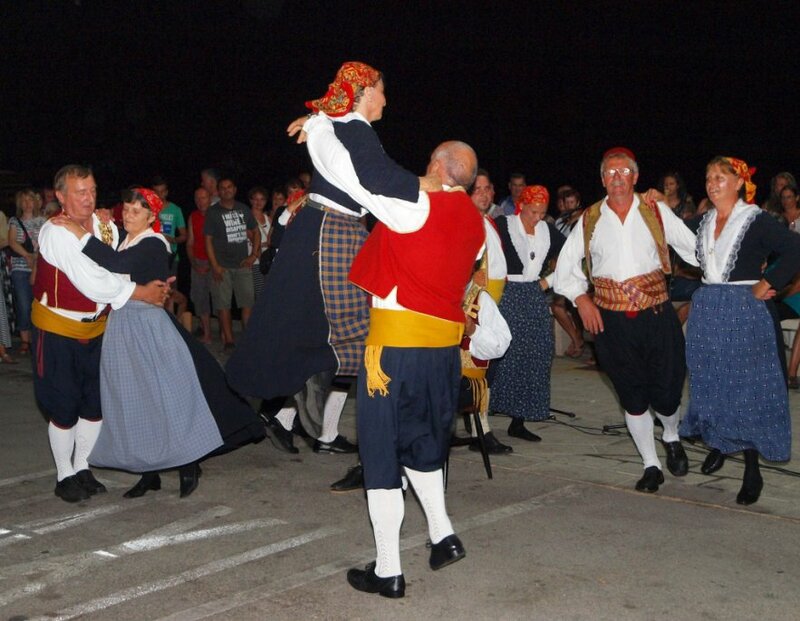 Trpanj is a place to spend your holiday if you love to meet local customs and local manifestations. 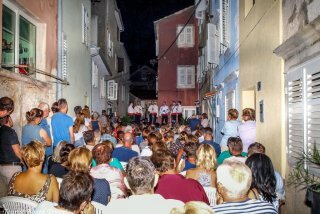 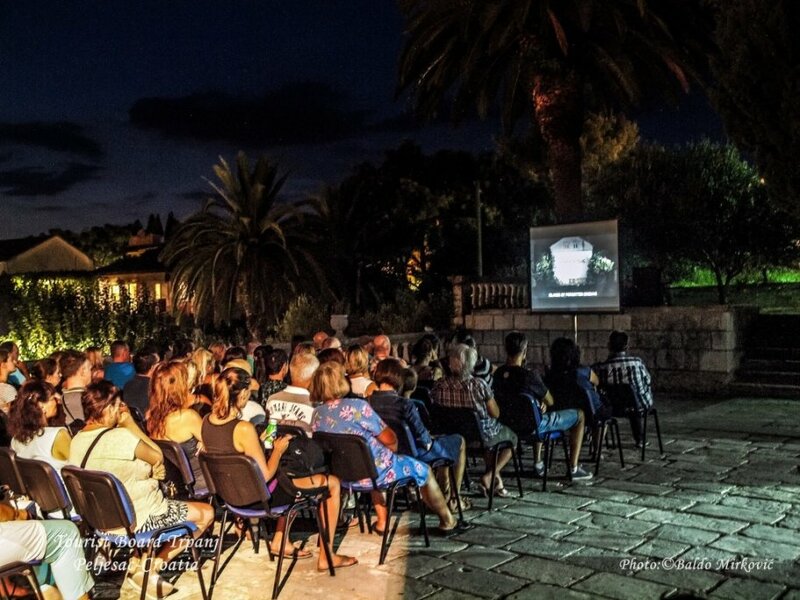 Tourist Board of Trpanj organizes concerts, concerts of local vocal groups called klape and plays in the old town centre. 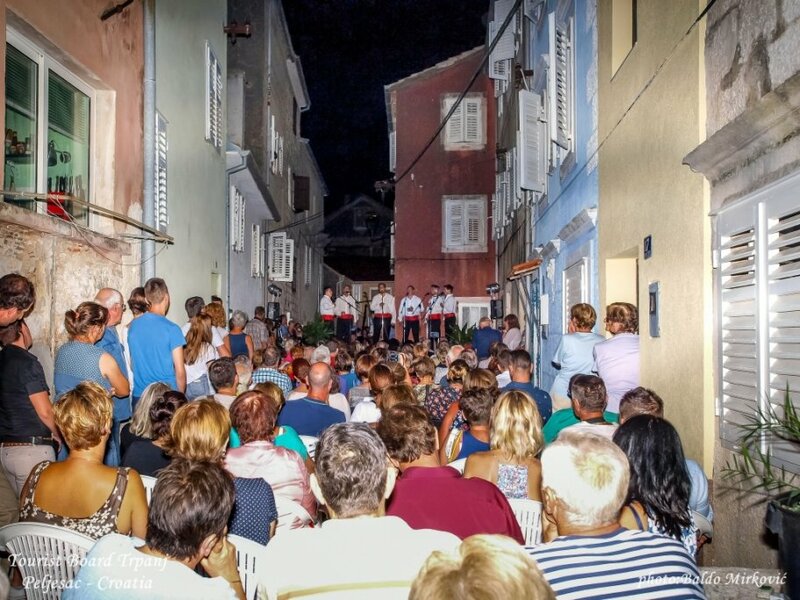 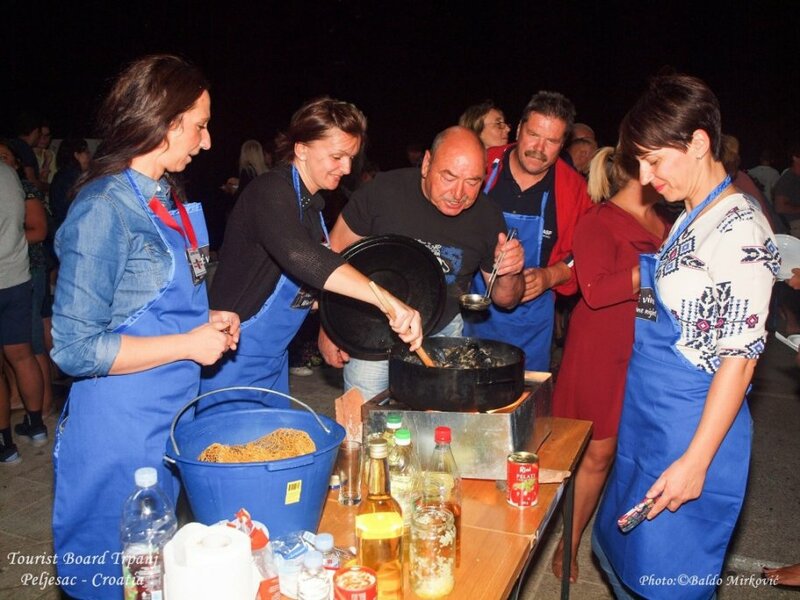 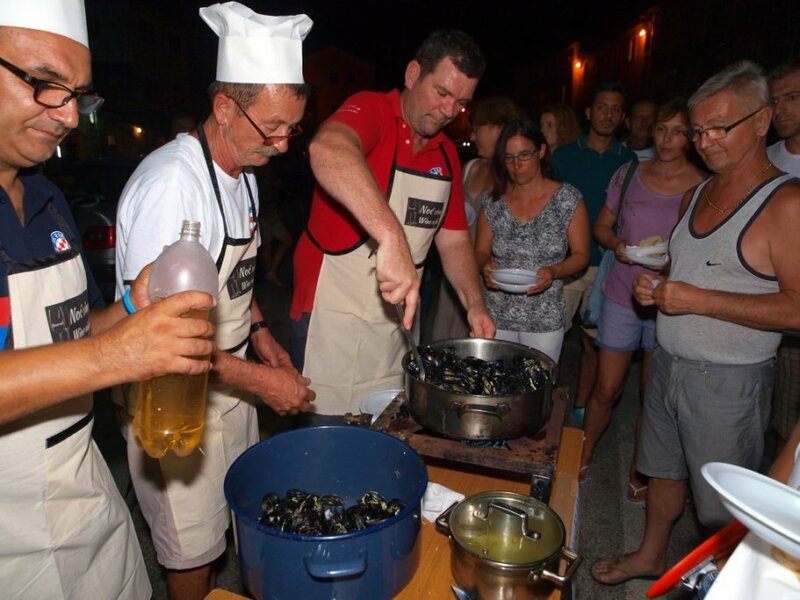 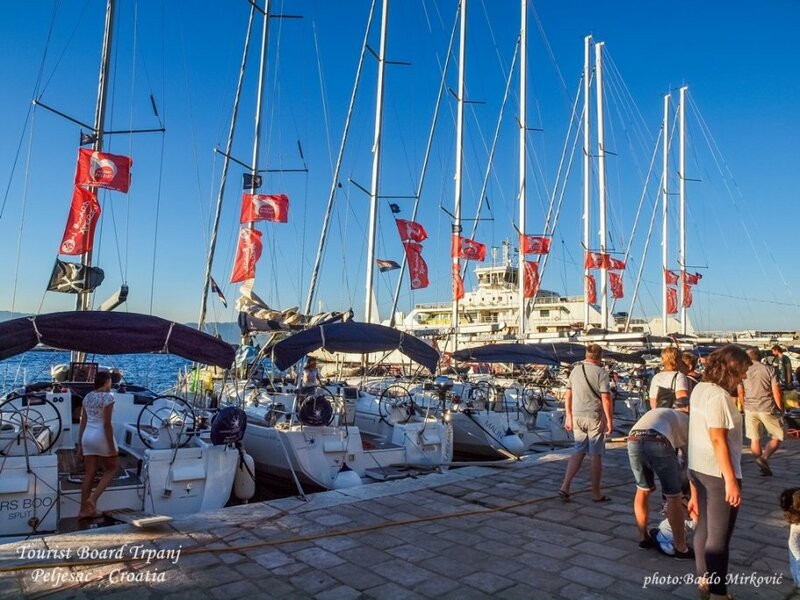 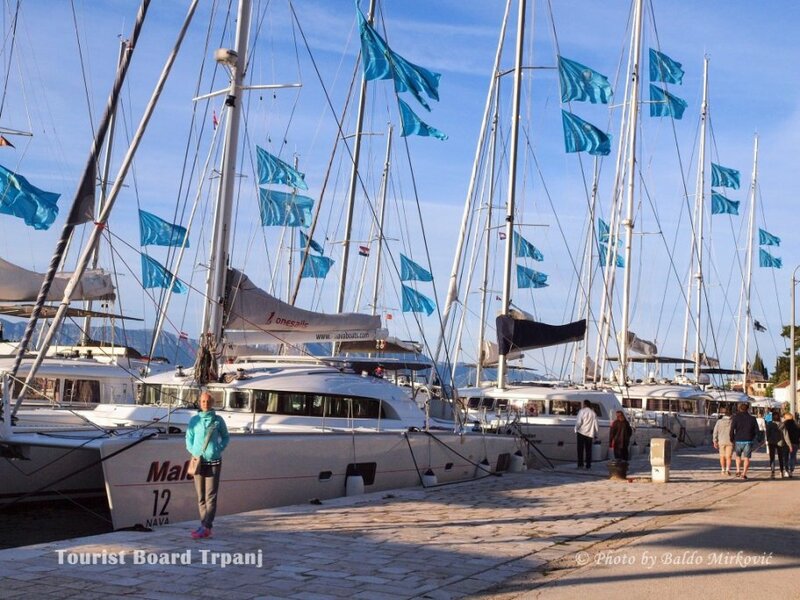 During summer nights, on Trpanjs waterfront, fishery nights and bowling tournaments are organised-when local inhabitants and their guests spend pleasant evenings with free grilled fish and local wines. 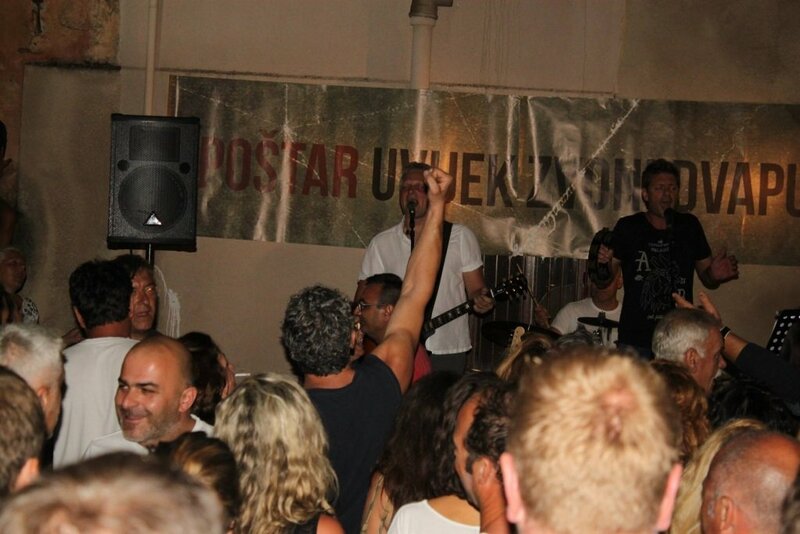 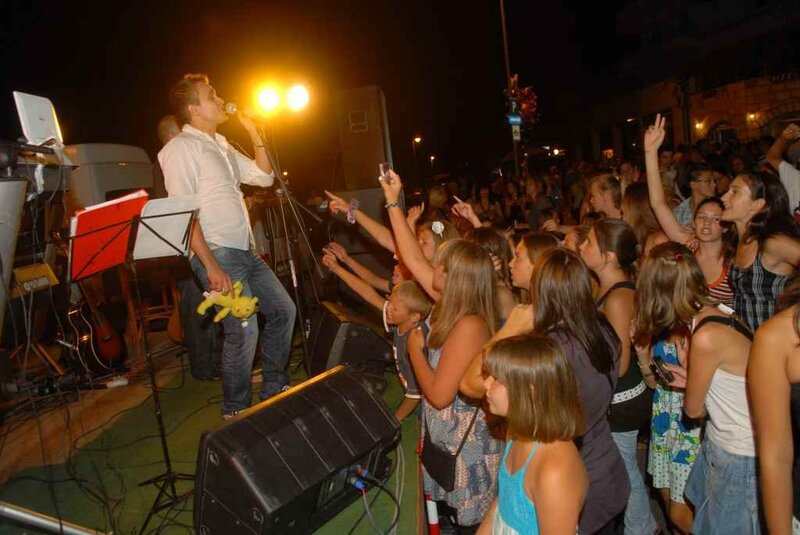 Pop concerts with popular bands and singers and show programs for young audience are also organised during these months. 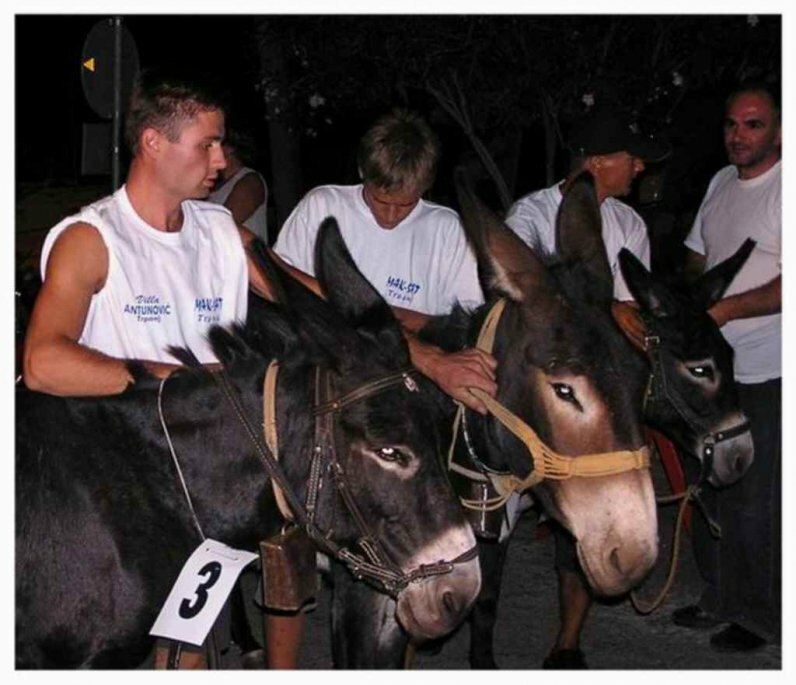 And let's not forget the Donkey race. 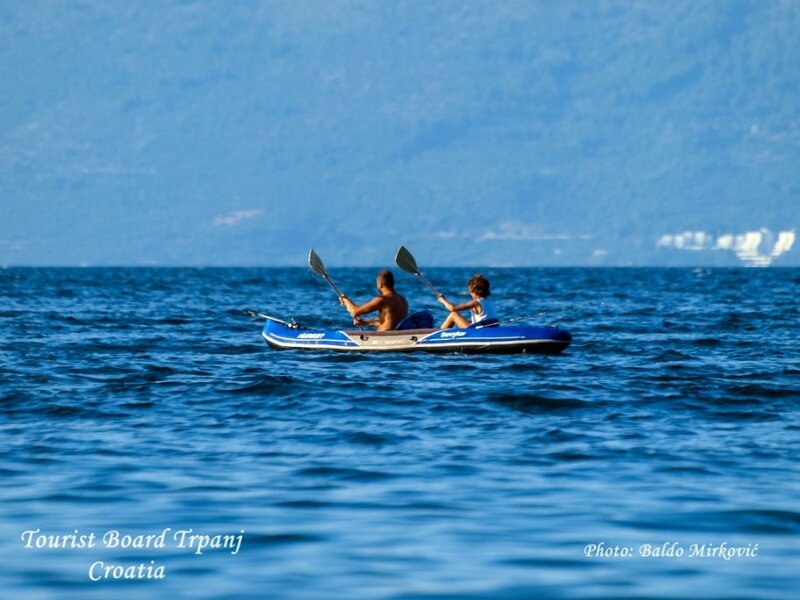 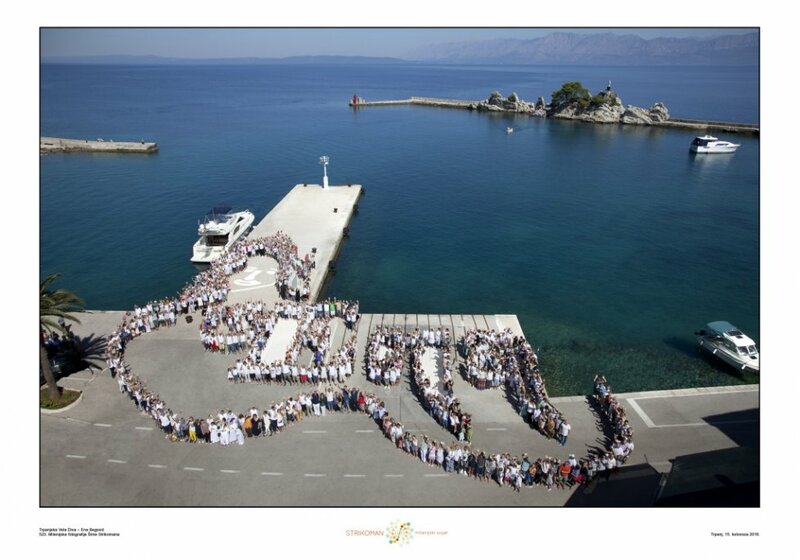 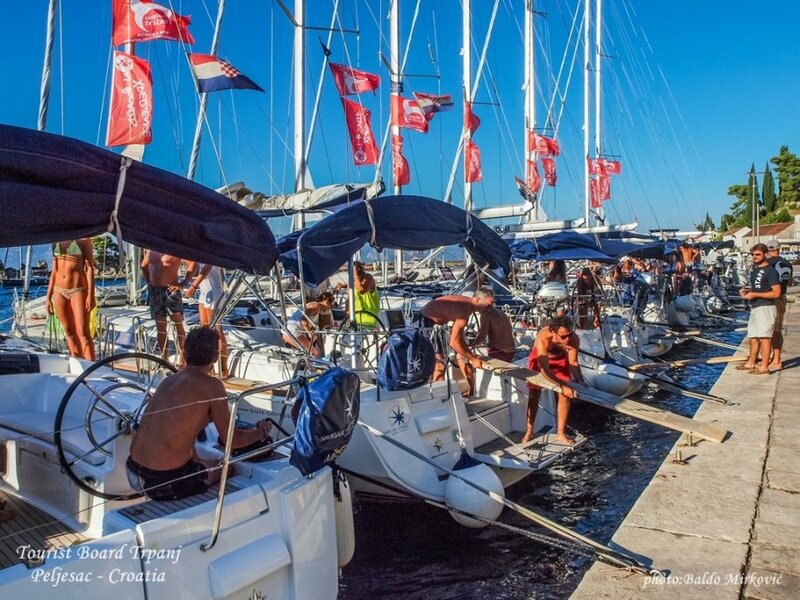 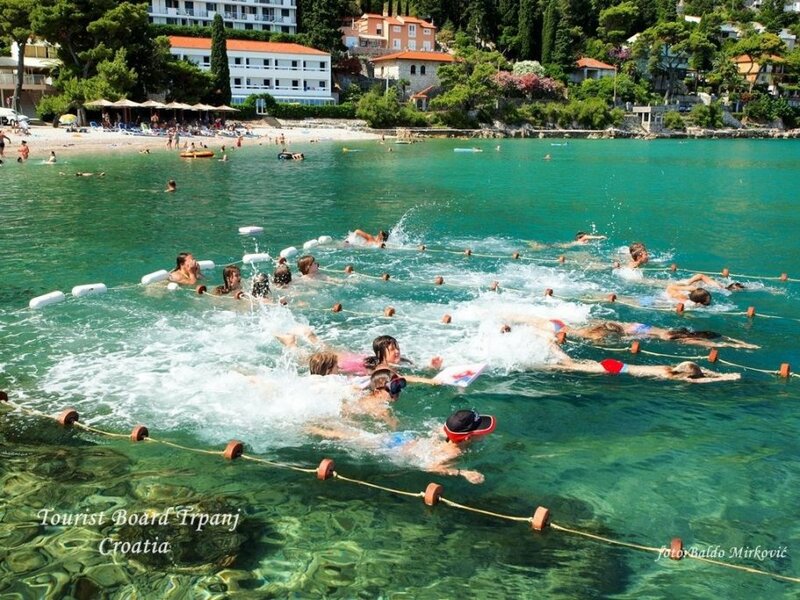 On the 15. of August on Assumption of Mary holiday, in the morning, a holy mass is held on the little island in front of Trpanj, where there is a statue of Zvijezda mora (Sea Star), a patroness of sailors and fishermen. 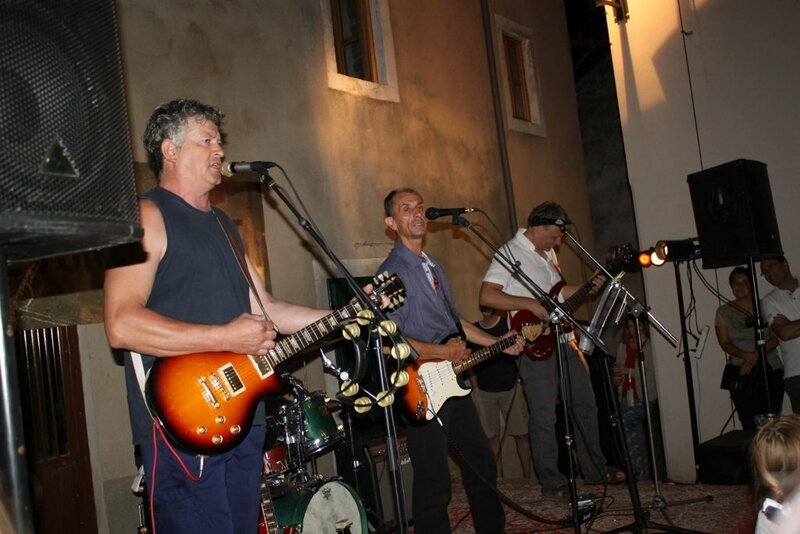 In the evening, interesting entertaining programme accompanied by rich lotery and fireworks is organised. 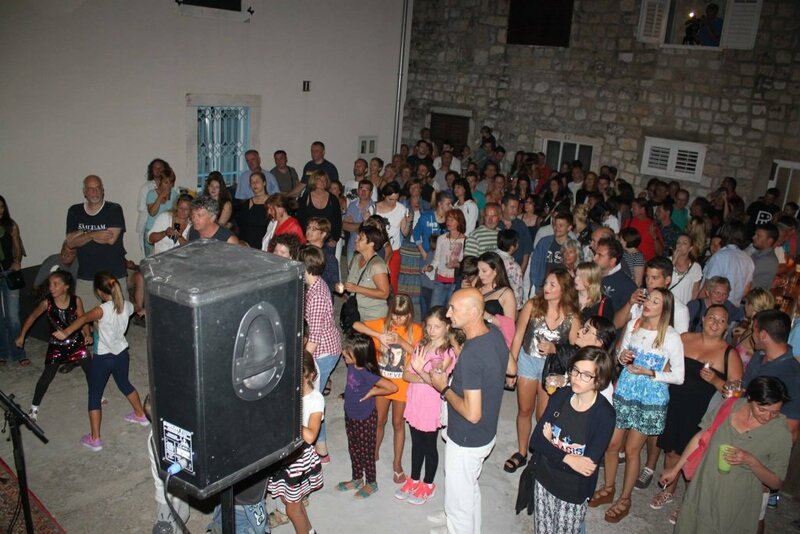 And if you wish to party till dawn then you can spend your time in disco club "Plavi klub" (The Blue Club).